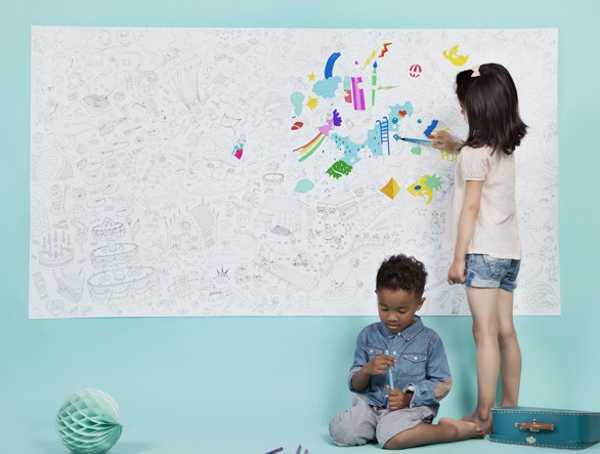 Pint-sized Piccasos and mini Michaelangelos can colour until the cows come home with these giant colouring pages. And they’re so detailed and beautifully drawn they make an incredible piece of art. My five-year-old has only recently become intensely interested in drawing and colouring, and it’s like a whole new world has opened up for him. I can only imagine he’d just love one of these posters to spend hours labouring over, and eventually proudly displaying in his room. 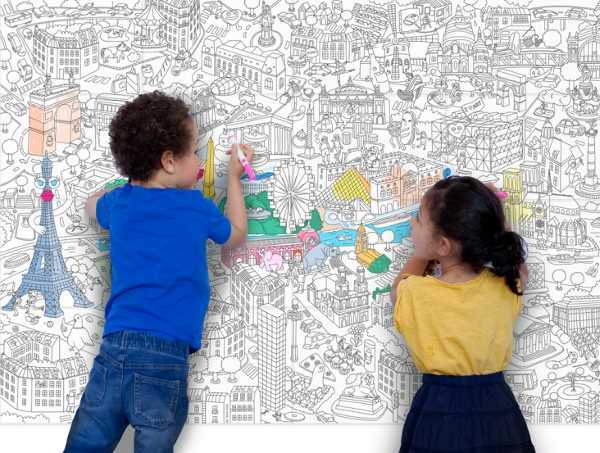 Designed in France by Omy Design & Play, these Giant Colouring Posters come in a few designs – city maps of Paris, New York or London, or Space, Magic and Play. They are really large, at one-and-a-half metres by almost a metre and can be used on the floor, put on a wall or thrown over the table as a table cloth. 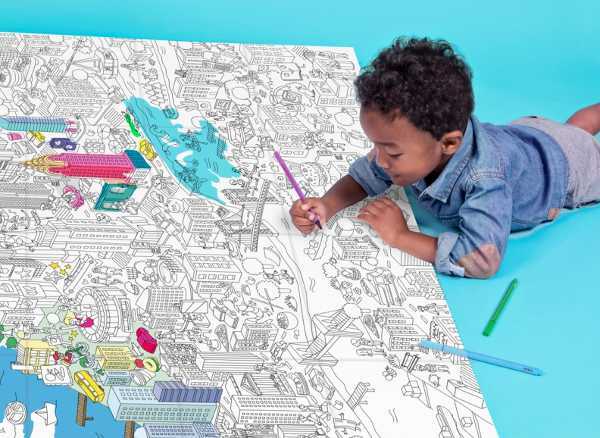 While they are obviously aimed at kids, I can see how plenty of adults would find it rather soothing and rewarding to create a masterpiece from one of the city scapes. 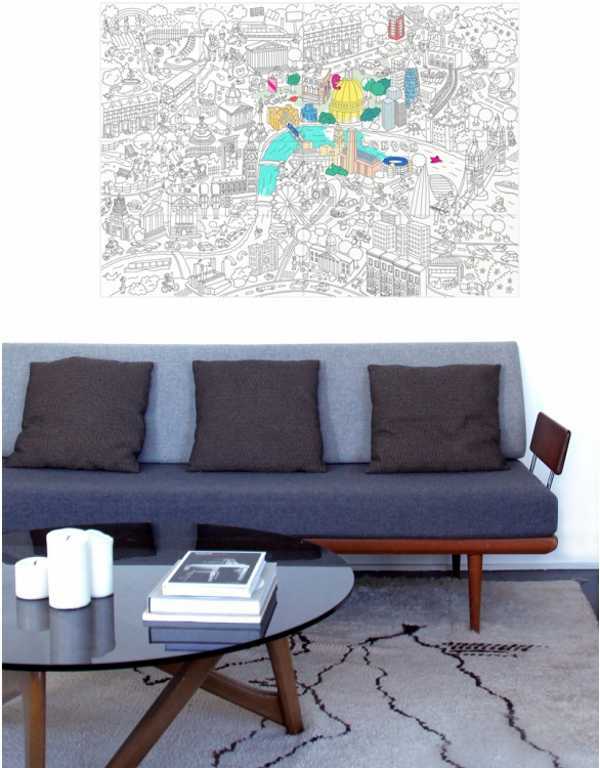 You can purchase the posters directly from Omy where you can also grab the Giant Colouring Roll, for €19.90.